Beaches in and around Ierapetra. South east Crete. 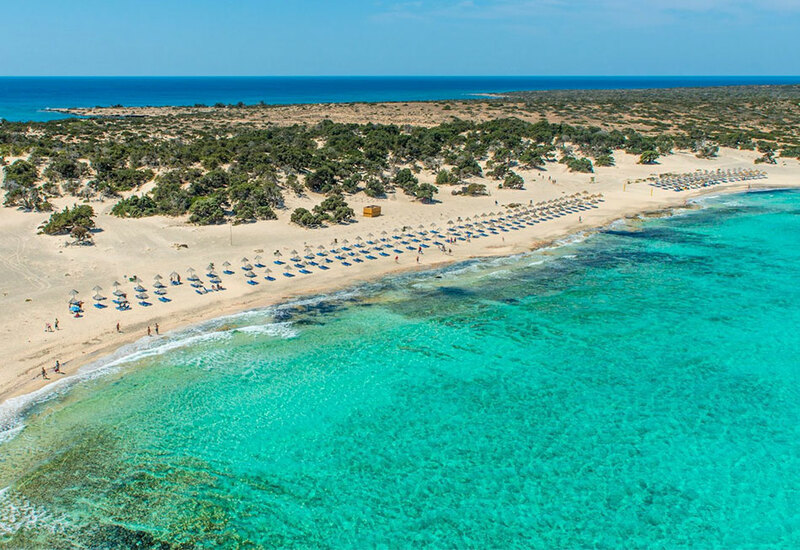 Ierapetra is built on the longest beach in Crete offering an endless choice of golden beaches with deep crystal blue waters far away from industrial areas and ships passing by. All major beaches of Ierapetra from east to west are awarded with the European Committee's BLUE FLAGS each single year. The Blue Flag is an eco-label awarded to beaches and marinas with good standards for water quality, safety, environmental education and information. A beautiful beach with thin sand and sparkling waters which attracts many tourist in the summer. (Water sports are available). Beautiful rocky coastlines with deep blue waters. (Scuba diving is available). 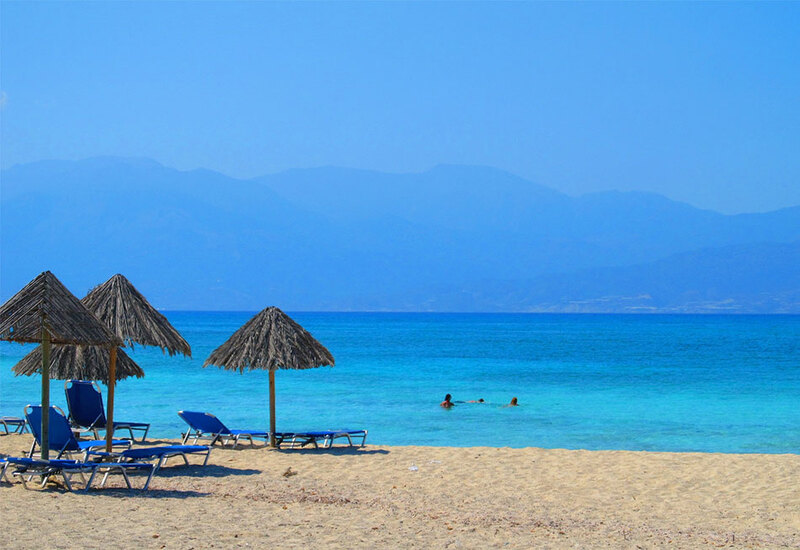 One of the loveliest of Crete, with beautiful white sandy beach and crystal clear green-blue waters. 8 miles south of Ierapetra. (Frequent daily boat services). A picturesque long gray sand beach at the village of Koutsounari, located 5 km. east of Ierapetra. (Water sports are available). A small sandy beach with crystal-clear waters located 8 km east of Ierapetra. 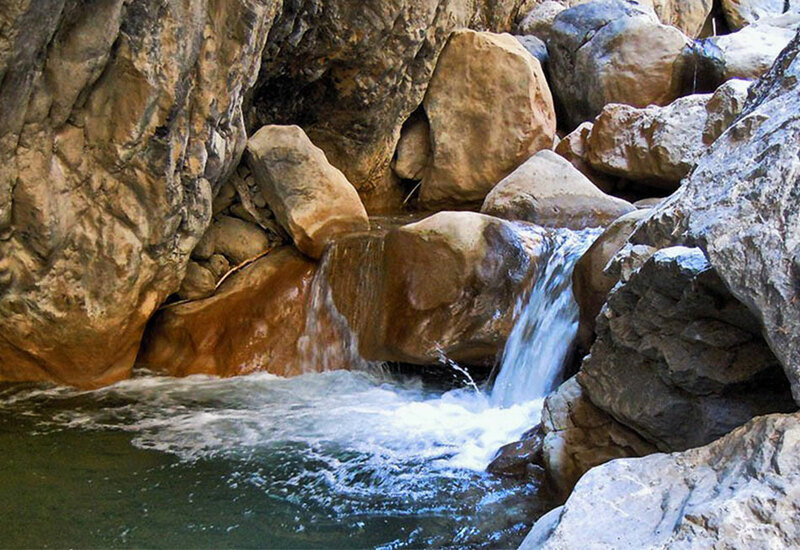 A beautiful sandy bay, situated before the village of Agia Fotia , 10 km.east of Ierapetra. It is a peaceful beach with thin sand and pebbles near the village of Nea Anatoli, 6 km.west of Ierapetra. A small sandy beach, located 10 km.west of Ierapetra.